If you aren’t already using a trail camera to enhance your hunting experience in the field, then shame on you. Trail cameras have changed scouting and monitoring of deer hunting dramatically during the last decade. Now hunters that have always wondered what was happening at their favorite treestands, bedding areas, food sources, and high traffic areas can no longer wonder thanks to the easy-to-use trail cameras on the market today. 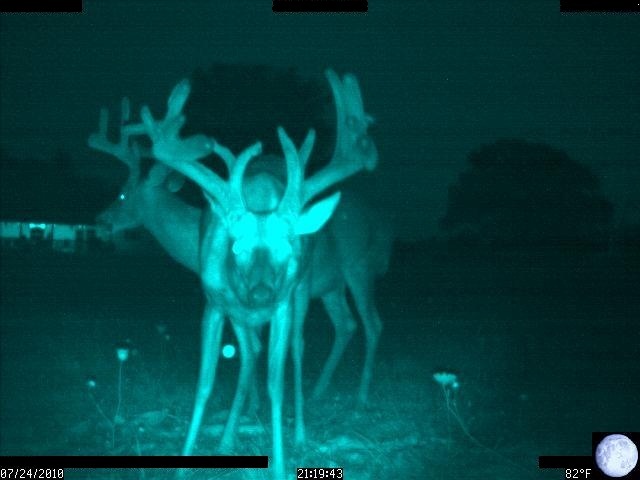 Trail cameras are a must have for any serious deer hunter because they offer a new and improved way to scout and monitor your hunting location at an affordable cost. Trail cameras can help find the secret hinding location of that monster buck you have targeted for years and/or help you find that perfect spot to take a youth hunter for a early season doe hunt. During the pre-rut, whitetails act as any other creature of habit and tend to hold to travel and food patterns. If you can pattern a shooter buck chances are reasonably good that you will have an encounter with him around the same time and location as your camera has captured his photo. In theory, this can assist hunters who have limited time to spend in the field due to work, family, or other personal obligations, with focusing their efforts and limiting the total number of hours needed in your treestand to successfully fill your tag. However, Any experienced whitetail hunter will tell you that is usually not the case as whitetails can change there patterns at any time for any reason, but choosing the proper trail camera and effectively using it will increase your chance for a successful hunt. You can only hunt one location at a time from a treestand but you can determine what location is best to hunt by placing trail cameras in multiple locations throughout your hunting area during pre-season scouting. Use the date and time stamps to pull together the rough data to create a travel pattern for the deer in the area or a specific deer or elusive buck. Like any equipment, there are decisions to be made when choosing a trail camera. The most glaring is whether you want photos or photos and videos, which will increase cost. Most digital images and motion activated videos can be stored in a database on your personal computer. You have plenty of brand names to choose from including Cuddeback, Moultrie, Bushnell, Predator, Stealth, and Wildgame Innovations to name a few. Be sure to select a trail camera that meets your needs as a hunter. When selecting the trail cam that is right for you it is imperative that you consider how you would like to use your trail camera and how much time and effort you are willing to put into it. If you are planning on setting up trail cameras to monitor bedding areas, food sources, and high traffic areas, then I recommend you buy a camera with high quality motion detection and fast shutter speed enabling you to catch your deer in transit from one area to another. Conversely, if you are setting up over your specific location or a particular food source like a salt lick, then you may only need one camera. Personally, we here at Team Surra Outdoors almost enjoy setting up my trail cam, retreving the data, targeting a sepcific animal(s) to hunt, and creating individual animal travel patterns as much as harvesting these giants… ALMOST! If you have questions, comments, or trail cam pics you would like to share contact us at teamsurra@gmail.com. From someone who works and lives 2hrs from his hunting locations, take it from me. This is the ONLY way to harvest Big Bucks, other than pure luck. I couldnt agree more Rick. 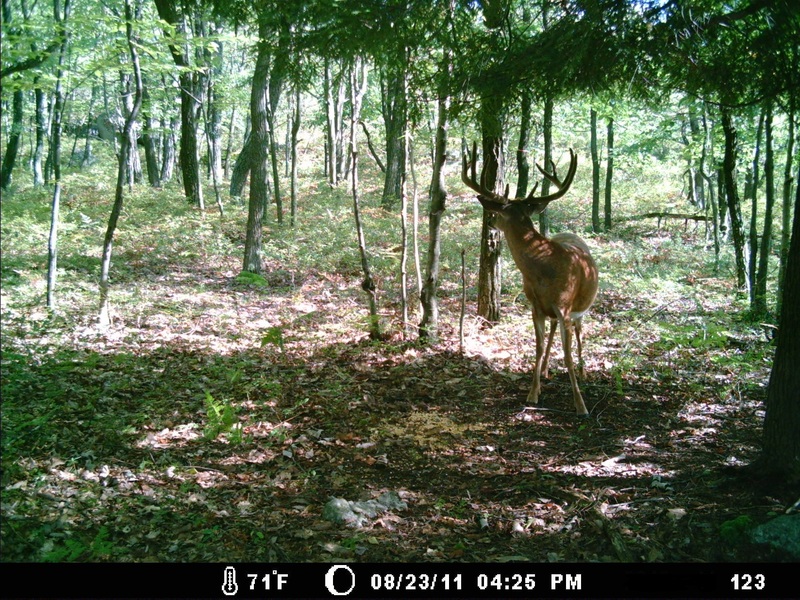 Using trail camera is essential to the modern day whitetail hunter.